Asparagus may be the smallest of her litter, but that has not slowed her down in any way! 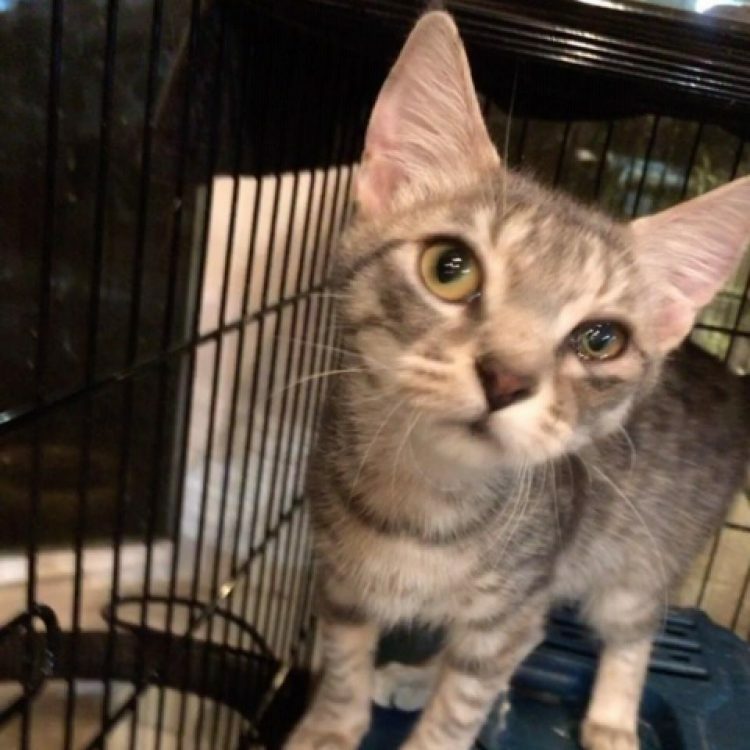 She has the sweetest disposition with humans, and happily accepts pets and cuddles. Though she has not completely warmed up to other animals yet, Asparagus definitely loves her kitty siblings. She has met a few dogs, but it took a few introductions and some time to start to become comfortable. Playtime with her siblings, or toys, will bring Asparagus back to her usual sweet nature. She favors little balls with bells on them, or stuffed animals that can be played with and then cuddled. 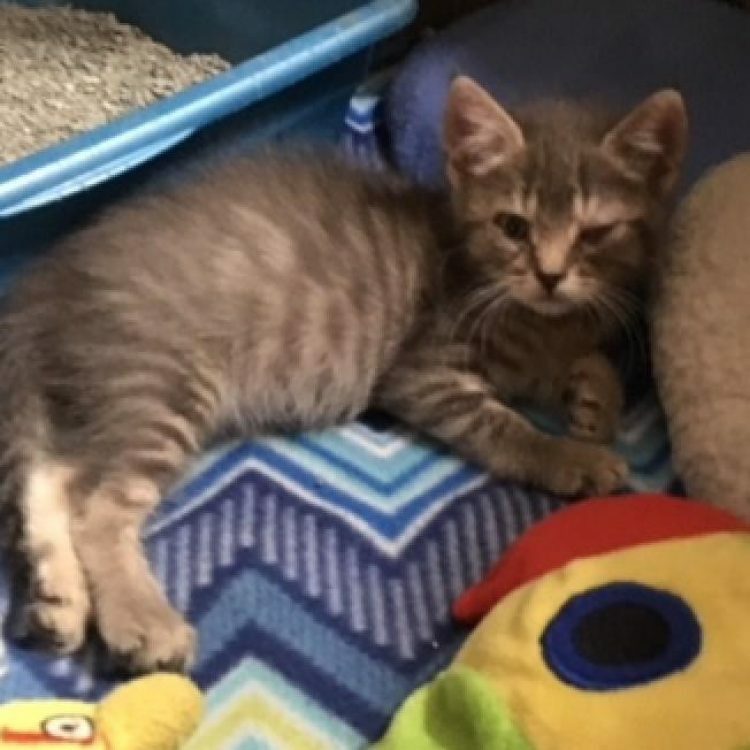 Asparagus is in the process of undergoing a little eye procedure, but hasn't let it hinder her playful nature or sweet nature. She would do great in a forever home with plenty of toys and space to roam, and lots of opportunities for pets and cuddles! For further information or to meet Asparagus, please email [email protected]. 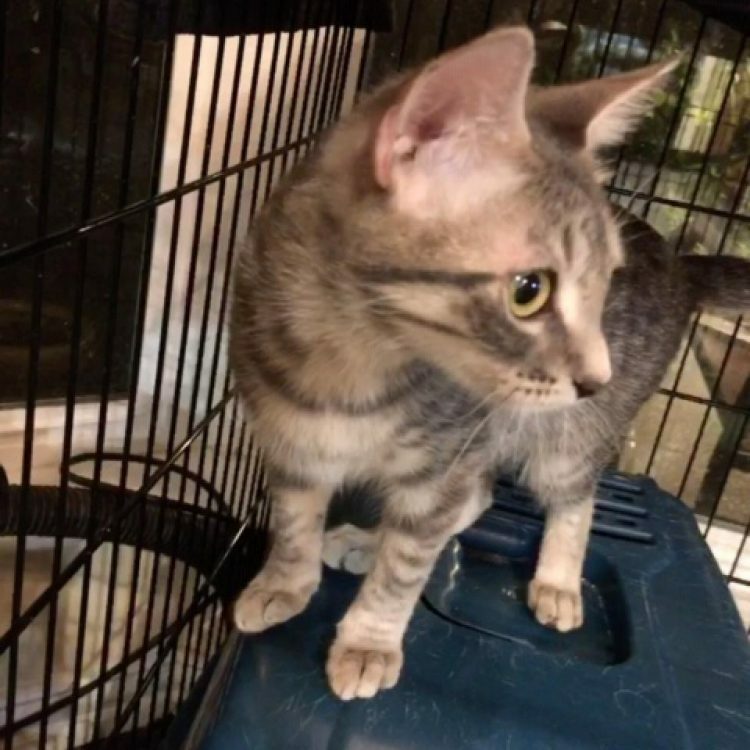 I saw Asparagus 25 (https://www.austinpetsalive.org/adopt/cats/apa-a-64379) on the Austin Pets Alive! website and would like to request more information.